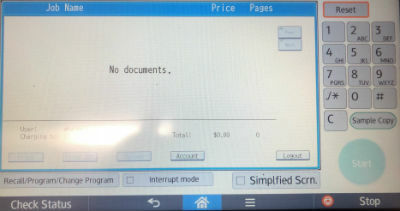 Ricoh printers with the ability to scan to email and make copies are installed in Clow Lab, Halsey Lab, and Sage Lab. 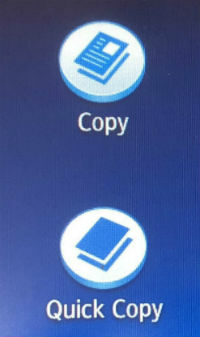 These directions will include how to make a copy and how to scan to email. 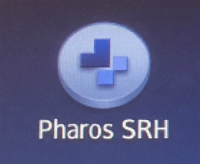 If not already selected, click on Pharos SRH on the home screen. 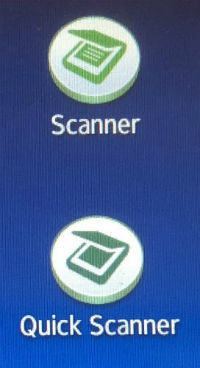 Scan TitanCard to login to your print queue. From that screen you can see how many items are in the queue and how much money is left within the account. Each item can be selected individually to print, or Print All can be selected to print all of the items. Press destinations followed by "Email (To)"